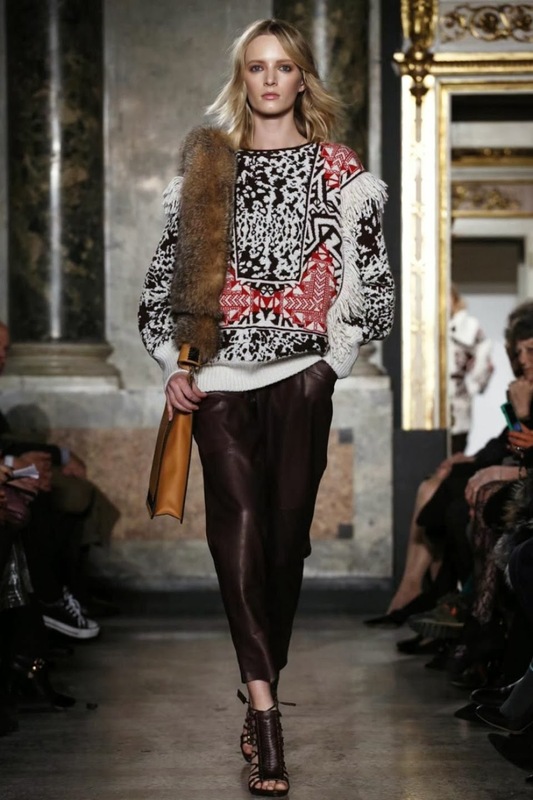 I was talking about Milan Fashion Week in my last post, but just to make the post a little shorter I decided to divide the overview of Milan Fashion Week's big shows in two posts. So I'm giving you an overview part two in this post. 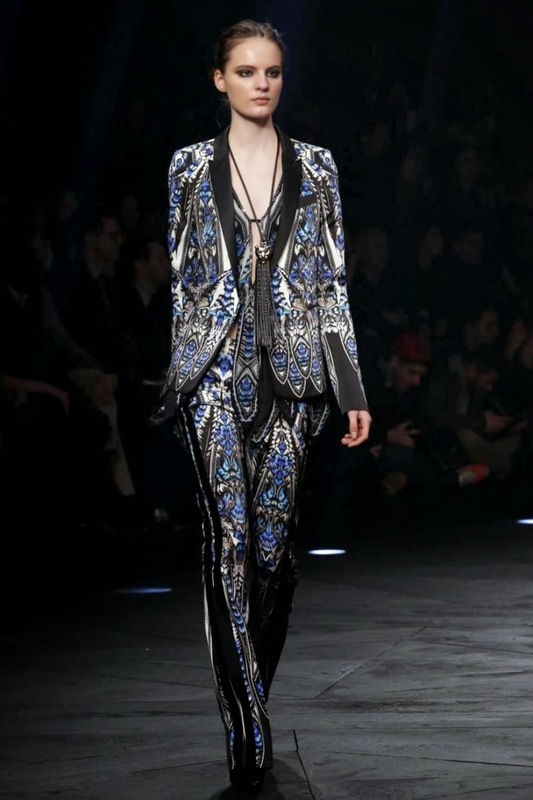 The Roberto Cavalli show was really feminine and he used a lot of grey, black and white in the clothing. The outerwear was definitely my favorite. 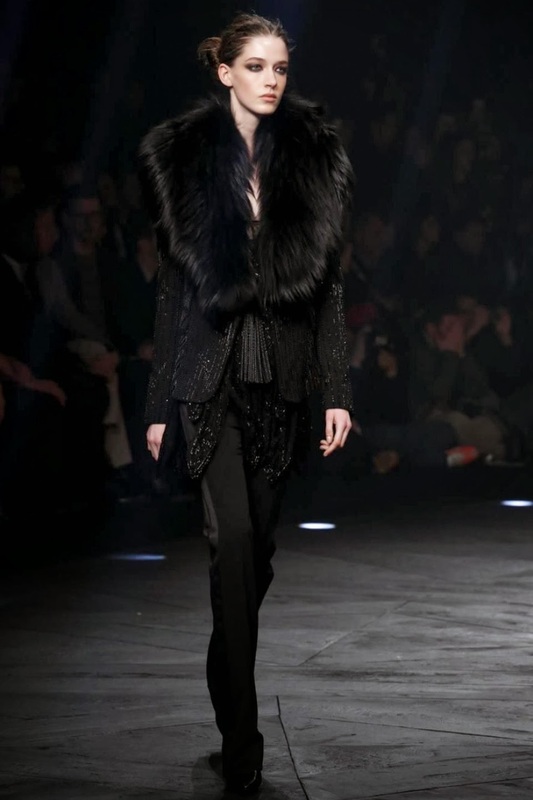 The collection captured a lot of beautiful ponchos and long coats for the autumn/winter season. 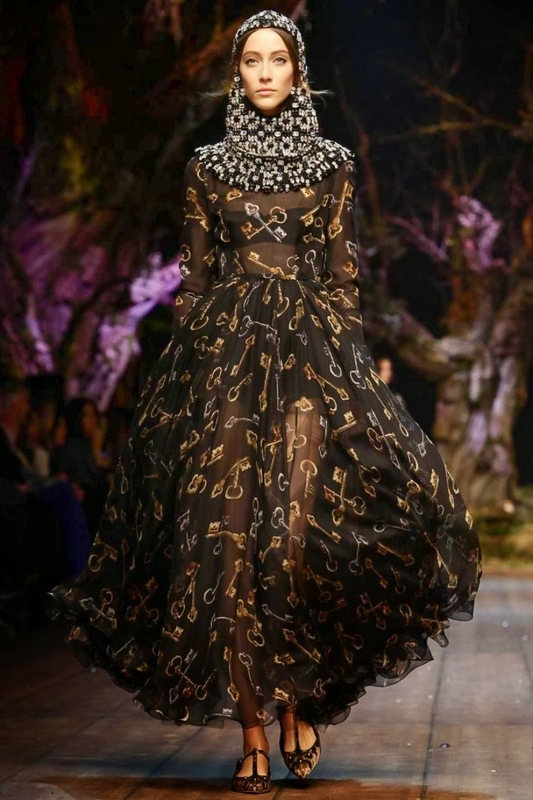 Besides he had a lot of bejeweled dresses and pants in his collection which makes this collection very glamourous. 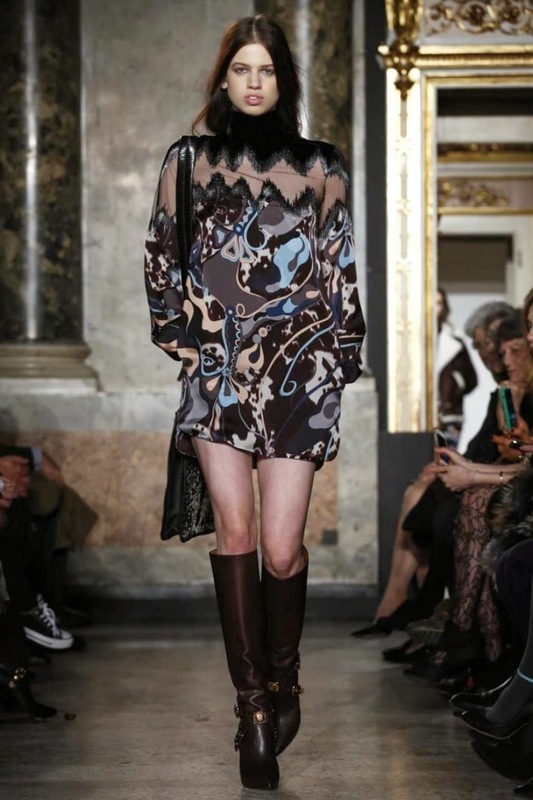 The collection of Emilio Pucci consisted a lot of graphic prints which made the show really fun to watch. Besides the prints, there were also beautiful black items like dresses and sweaters. 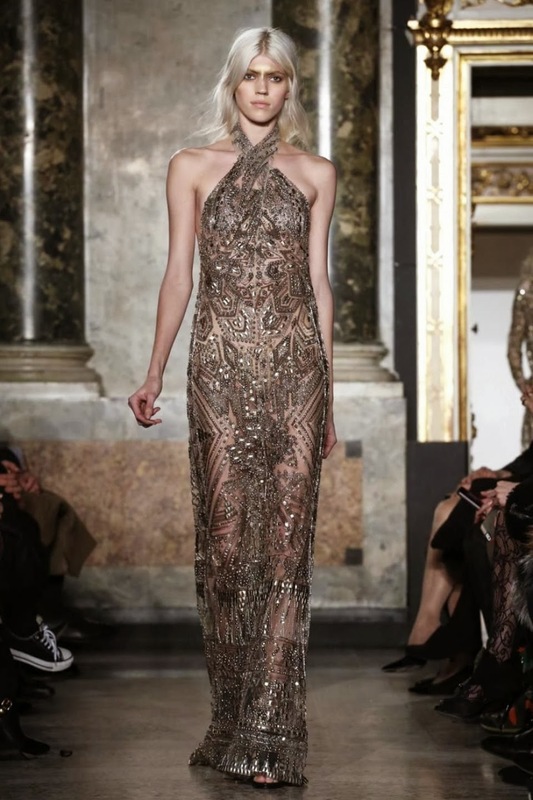 Emilio Pucci had many sparkles in the new collection captured in bejeweled dresses. I think the dresses that were captured in this collection are definitely red-carpet worthy. 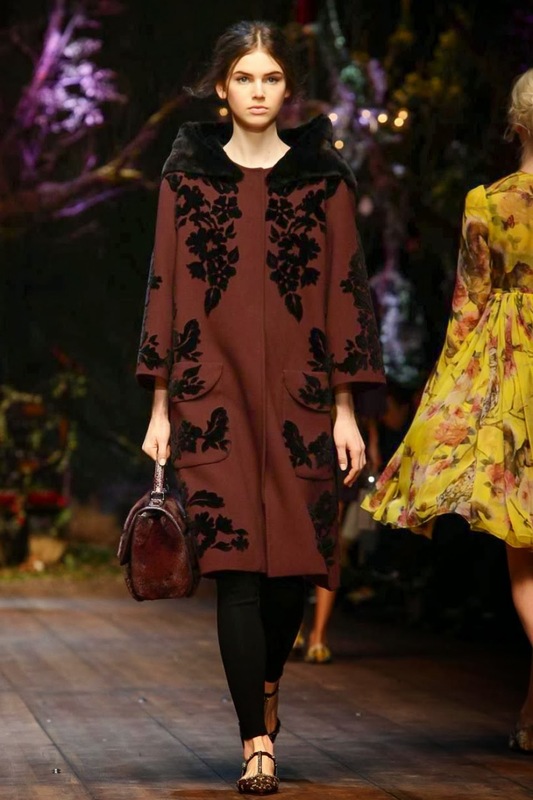 The Dolce e Gabbana show had an enchanting glow over it. 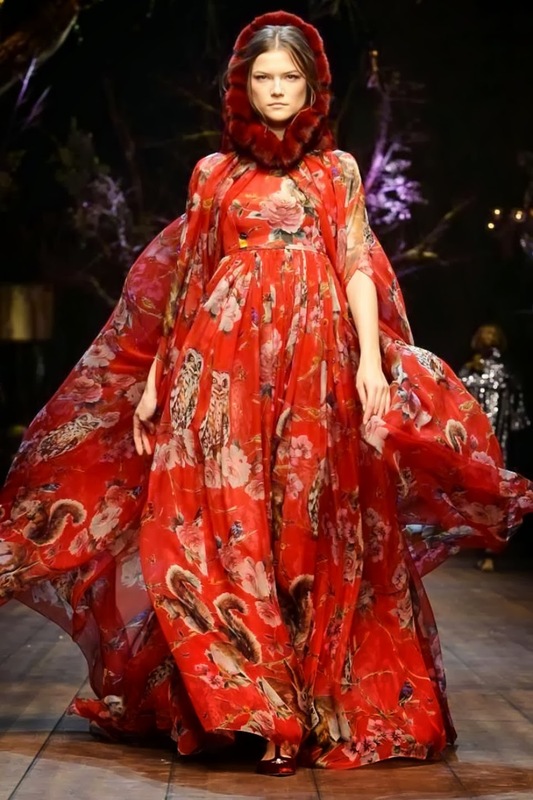 The catwalk was absolutely stunning and so were the clothes, they took you to the enchanting forrest that we all know from the fairytales. 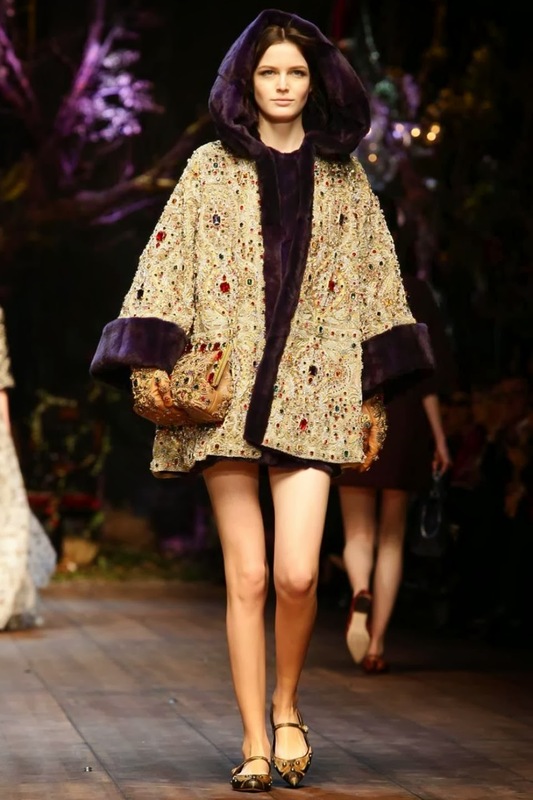 The oversized capes and flowing silk were definitely different than what we are used to from the designers. They used fabrics with foxes, swans and owls on it which makes this collection very special. Also the key-print is coming back a lot in this collection. 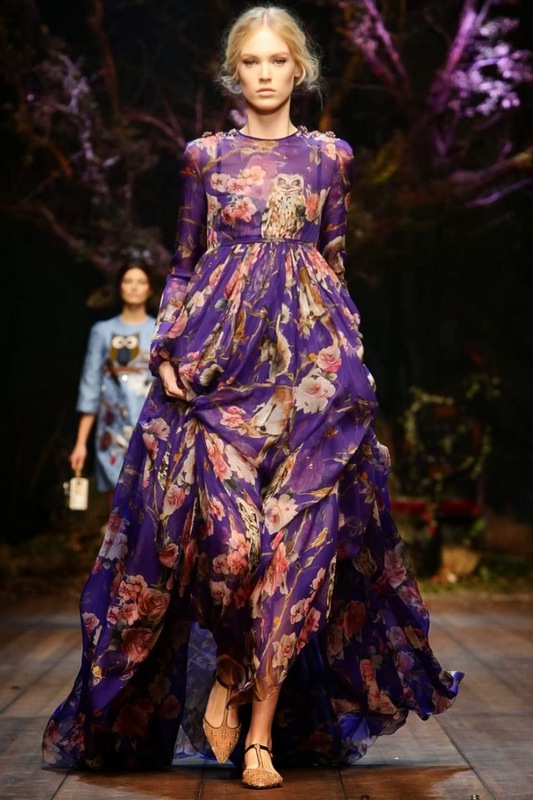 What do you think of the enchanted collection from Dolce e Gabbana? The last show I want to talk about is the show from Giorgio Armani. For the autumn/winter collection for 2014 he used a lot of grey wool. He combined them with shades of lime green which made it a beautiful collection. He created fluid trousers, fitted blazers and suits in different tones. The wool definitely dominated the catwalk in the Giorgio Armani show. So this was Milan Fashion Week in a nutshell. I think MFW had great shows and new collections to show, don't you? 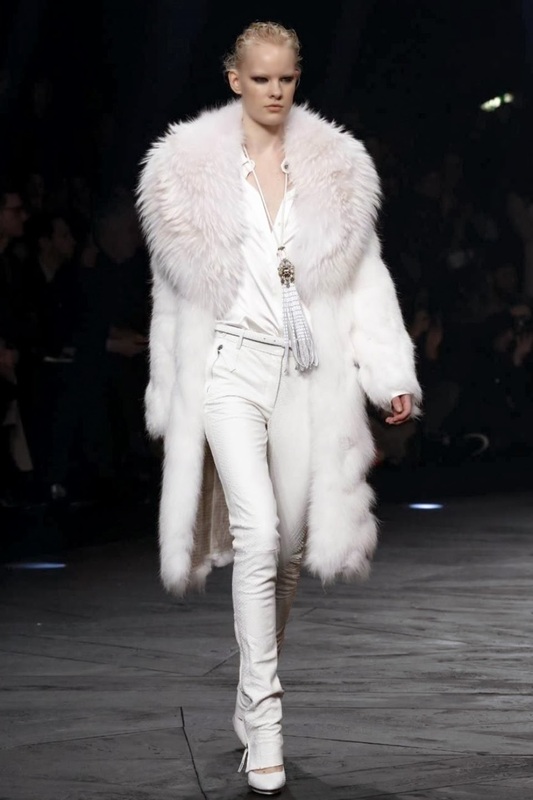 What do you think of the shows from Milan Fashion week? Which one is your favorite? ps. See you in Paris!